Dan Lemmon is a visual effects guru, responsible for making the imaginary seem oh so real. Nominated for the Visual Effects Oscar this year for The Planet of the Apes, Dan was also pivotal in bringing Pandora to life in Avatar and has worked on A LOT of movies from King Kong to Lord of The Rings to yes, Titanic. When I first met Dan a few months ago, he was standing on his head – as part of my New Zealand welcoming committee! 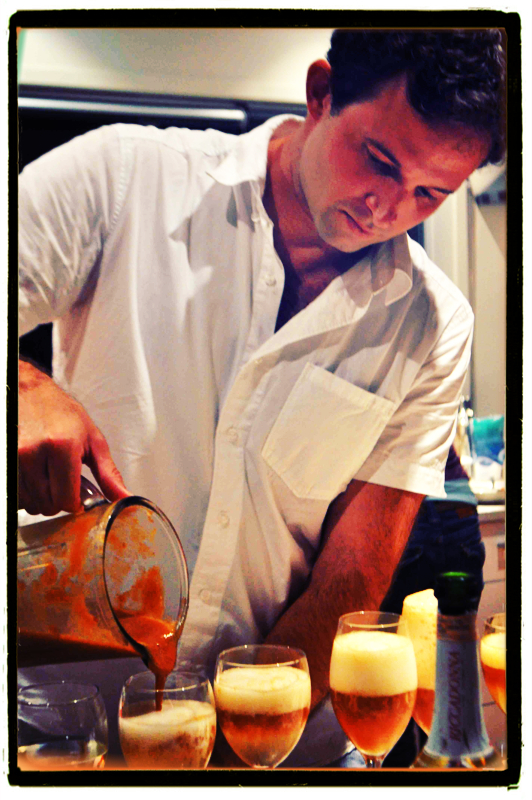 Thanks to his role as my NYE host, I can vouch that in addition to making movie magic, he makes a damn fine bellini! THE LESSON: I’ve learned that regardless of how busy I get professionally, I have to take care of my relationships with my friends and family. That may seem fairly obvious, but it’s been a hard lesson for me to learn as I’ve been sucked from one demanding project to another, year after year. This year, in particular, has been crazy – full of ups and downs that have included months of work overseas away from my family and being nominated for an Academy Award. The high point by far, though, was taking my kids surfing for the first time and watching their ecstatic faces as they stood up and rode their first waves. THE QUESTION: Will I win an Oscar tonight?! Just being nominated has been a pretty amazing experience. Regardless of the result, I feel incredibly fortunate to have had the opportunity to work on a great movie with a great team and to see our work get recognized by our peers. THE INSPIRATION: Jonathan Franzen’s Freedom. I think he writes incredibly rich, believable characters who are wonderfully and tragically flawed. I love his portrait of a family full of love and ambition and disfunction, and I loved the idea that we are what we make of our freedom.